For your whimsical spirit, Gucci presents this adorable charm in the Blind For Love collection. 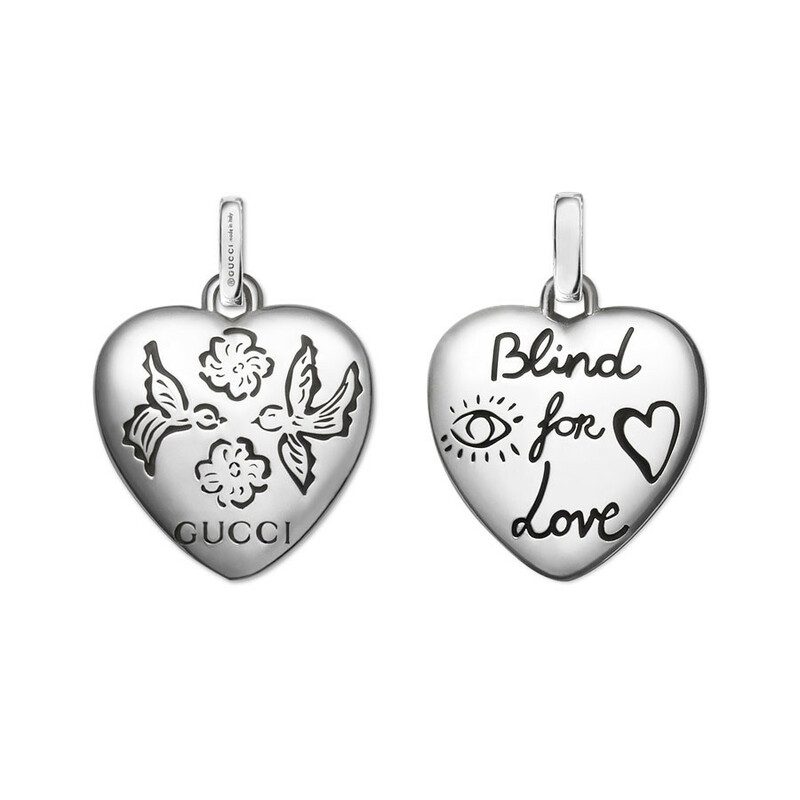 The statement "Blind for Love" is written in cursive across a sterling silver heart charm, and a cartoon drawing of an eye and heart are etched on either side. Dangle this Gucci charm from any Gucci necklace (sold separately) for a feel good vibe.